Regular users told us essentially the most very important thing of swimming is always to control your breathing. To get this, our head ought to be aligned with our spine all the time. Please, use the get in touch with knowledge provided at each and every pool profile. 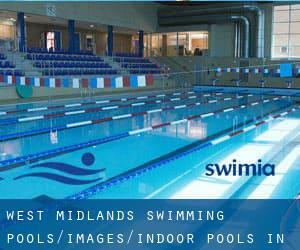 Please check the nearest Indoor Pools in West Midlands or Contact us to ADD IT. It's free! Most of the Swimming Pools present both open lanes for independent swimming and also guided activities like water aerobics or aquabike. 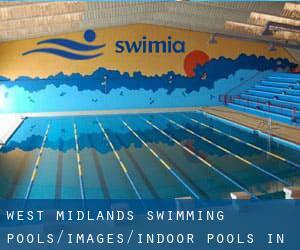 Please have a look to the Indoor Pools in West Midlands swimmers like you could have reported. Is your pool not listed? Contact us to ADD IT. It's cost-free! There are regularly discounts obtainable to senior citizen and modest children. Find out by contacting your nearest pool in West Midlands. It's hard to visit West Midlands with out dropping by Wednesfield (with 33.555 residents). At present Swimia is showing you all the Swimming Pool in Wednesfield and also the closest pools located in its vicinity. Without a shadow of a doubt, swimming in Brownhills could be the best option to unwind right after work. Take a couple of minutes to browse Swimia's catalog to find a Pool in Brownhills. Let us let you know a secret to switch off when you are in Sutton Coldfield: just choose a Swimming Pool in Sutton Coldfield and plunge into the water! There's no more helpful method. Holding an estimated population of 27.500, Willenhall is one of the most important cities in West Midlands. Check all of the Pool in Willenhall and its surrounding area. Swimming is often a excellent thought to keep your body active during your visit to Shipley (West Midlands), or even for anybody who is a local. Swimia helps you to find your closest Pool in Shipley. Hollins Hill , Baildon , Shipley , England , UNITED KINGDOM (Postal Code: BD17 7QW). Among all the activities offered by the center, if you are interested in swimming you can expect to take pleasure in 20 meters x 10 meters, Indoors. Just in case you want to make contact with this Swimming Pool before dropping by, we only know the phone number. Updated on 2019 Clifton Road , Sutton Coldfield , England , UNITED KINGDOM (Postal Code: B73 6EB). This sports center gives 33 meters, 6 lanes, Indoors. Contact facts for this Swimming Pool just like phone number and email address are number. Updated on 2019 Alexandra Road , Shipley , England , UNITED KINGDOM (Postal Code: BD18 3ER). Swimmers like you reported 25 meters x 13 meters, Indoors. Unfortunately we do not have the email address of this Swimming Pool, but we can give you the phone number. Princess Alice Drive , Sutton Coldfield , England , UNITED KINGDOM (Postal Code: B73 6RB). Swimmers like you reported 20 meters x 10 meters, Indoors. Unfortunately we do not have the email address of this Swimming Pool, but we can give you the phone number. 2 Fred Atkinson Way , Otley Road , Baildon , Shipley , England , UNITED KINGDOM (Postal Code: BD17 7HE). Among all the activities supplied by the center, in case you are enthusiastic about swimming you will enjoy 25 meters x 8 meters, Indoors. If you'll want to contact this Swimming Pool, email address and phone number are both number.